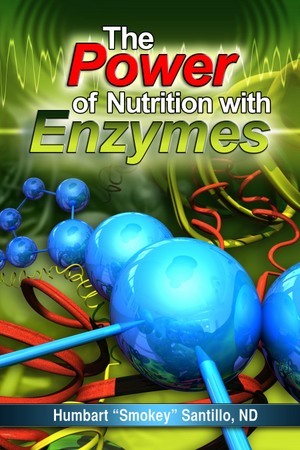 ProMetabolics, Your Body Speaks--Your Body Heals, and The Power of Nutrition with Enzymes. Before I tell you about the research behind Juice Plus+�, I'd like to tell you the personal story that led to the development of this whole-food product. When we're experiencing a trauma or other significant event, we don't always fully understand it until it has passed, and then we realize that it has changed our lives for the better. Living a life is a lesson itself and is always teaching us something; we just have to learn how to interpret the direction it is taking us. Even a chronic illness is pointing us in a specific direction, as I learned when my father got sick. It was 1980 and I was on a lecture tour, teaching herbal seminars in Denver, Colorado. During a break, I received a phone call from my father. He told me his spleen had swollen to the size of a football. It was so large he was using one of his Marine Corp belts to hold it up and it was so painful that he could hardly move. My mother made an appointment for him at a nearby hospital, where the doctors could not believe how large his spleen had grown--and it was still growing. I told my dad I'd be home in four days as soon as my tour was over. By the time I got there, his doctors had already removed his spleen and started chemotherapy. I was floored, totally irate. No questions had been asked--they just did the surgery and started pumping him full of drugs. After three weeks, my father had lost 40 pounds and nothing was working. The chemotherapy had failed and there was nothing more they could do. His doctor called our family together and told us my dad had no more than three weeks to live. After breaking the news to my dad, I asked if he'd like to try natural therapy at my clinic in Tucson, Arizona, where I would take care of him. He said, "I would have come to you before this, but I didn't want you to be responsible if anything bad would have happened to me." I picked him up and carried him out of the hospital without even checking him out. By the time we got to Tucson, he weighed 136 pounds, and his cancer was traveling so fast through his body that he couldn't eat or drink. How do you nourish somebody who can't eat or drink? I started massaging him every day with olive oil so his body would absorb the fat through his skin. He could only sip water, so I devised a plan to get more nutrients in through another route. I built a slant-board for him to lie on, made fresh green juice with kale, parsley, and some additional liquid chlorophyll, and used an enema bag to feed him through the bowel with this juice daily. As he got stronger, he was able to drink vegetable juices by mouth. Fruit juices, however, made him feel ill because of their sugar. You don't want to feed cancer cells sugar, because they thrive on it; plus, it acidifies the body, putting an even greater strain on a sick person's system. I wanted to find a way to get more concentrated nutrition into his body to increase his strength and boost his healing, and it occurred to me that if I could juice the vegetables and dry the juice, the powder would be more concentrated than the juice itself. I set up some small dryers in my office and found that it would take hours to dry the juice, but it worked. I'd give him tablespoons of vegetable juice powder stirred into small amounts of water daily. To my amazement--keep in mind, at that time we knew nothing about phytochemicals--in two months he put on 30 pounds. There was no meat or carbohydrates other than tablespoons of dried vegetable juice in his diet. I wondered, how could someone put on so much weight without eating? He then got to the point where he could also drink fruit juice powder without feeling ill, so he'd have fruit juice powder in the morning and vegetable juice powder the rest of the day. I gave him very little fruit juice powder, though, as I noticed that if I gave him too much, his urine's pH would turn acidic. I also added proteolytic enzymes and some herbs to the regime. 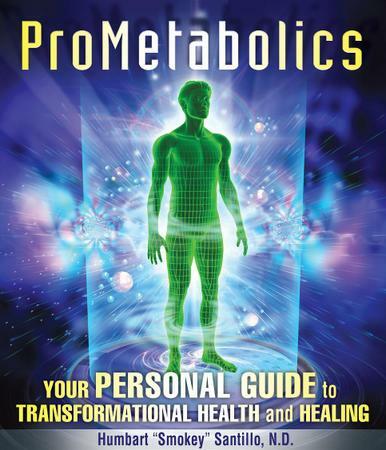 I was constantly changing the dosages of his supplements according to his pH, using the monitoring system in my book, ProMetabolics. The results were astonishing. Within three months of my taking over his treatment, my father got out of bed and remodeled my kitchen. He had been a carpenter his whole life and loved working with wood. Continuing on a nutritional program of eating large amounts of vegetables, dried juice powders, and soaked and sprouted seeds and nuts, he went back to work within six months and worked as a carpenter for another six years. It's my opinion that he'd still be alive today if his doctors had not removed his spleen and given him such high doses of drugs during his hospitalization. From my father's recovery, I realized the hidden healing power of whole foods, so I began studying all fruits and vegetables known to man, and I learned that some were much more nutrient-dense than others. Ironically, the ones most concentrated in nutrients were the ones most people didn't eat at all, or always cooked before eating: parsley, beets, cabbage, and broccoli, to name a few. Experimenting over several months, I created one concentrated juice-powder formula with fruits and another with vegetables--the most nutrient-dense fruits and vegetables on the planet. Soon my clinic looked more like a produce-drying facility, and everyone who came to me, regardless of the problem, was given a bag of each powder. The healings that I observed were no less than miraculous; I knew I was on to something big when my patients were getting well so fast. Just before my father died, he was so concerned about my professional reputation that he said, "If I die, will people still believe in you? Will they still buy your books?" I said, "Dad, what we accomplished together, this idea of concentrated fruits and vegetables, someday will be known all over the world." And that's exactly what happened. My father's recovery gave birth to the most wonderful product line of fruit and vegetable concentrates, Juice Plus+�. My father taught me pride and honor. He would tell me that a man's word is all he has. In over 50 years of being a carpenter, he never once had a written contract with anyone--only an agreement of a smile, honor, and love. He will always own a piece of my heart. I know he is always with me; he's my strength and motivation.